When shopping for an auto loan, you want to be sure you’re getting the best deal possible. However, a lower rate doesn't necessarily mean you’re going to save money. 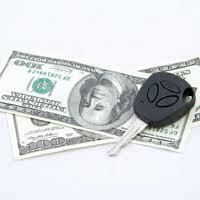 Most dealers will try to offer you a lower or comparable rate, but there are often hidden fees and stipulations. When dealers offer “lower” rates, they usually come with a maximum loan term of 36 months. This means your monthly payments will be higher. Ask yourself if that will work into your budget right now. Is the Dealer offering a rebate? In most circumstances, if you choose the dealer’s rebate plan, you forego the zero-interest rate loan. Adding the rebate to your down payment can make credit union financing very attractive – because the larger down payment reduces the amount financed. At times, you may want to pay a little bit more than your minimum monthly payment, or pay off the loan early. Some dealers will not allow these pre-payments and will charge you a penalty fee if you pay your loan off early. MCCU does not charge any pre-payment fees for auto loans. Some other things to keep in mind: To get the zero percent rate, you usually have to have A+ credit and this offer is usually for certain models only. You may not be able to get zero percent financing on the car you want! Get the information before you shop so they don’t try to persuade you to purchase a car you don’t really want. Want to skip the dealer trip? Autoland will help find your perfect new or used car! MCCU offers terms up to 84 months for new and used auto loans. Our flexible terms and rates allow you to have monthly payments that fit your budget. We also don’t charge you any application or documentation fees, or, as mentioned, pre-payment penalties. MCCU also offers a 90-day No Payment option, though interest will accrue from the funding date. Get pre-approved for your car loan, and get a fast decision!